The bad news is that while there have been some very nice pledges by governments to do more to address the issue of anonymous shells, there hasn’t been a lot of action. Moreover, with a year behind us since the story broke, we have had time to reflect on fact that Mossack Fonseca—the law firm in question—is but the tip of the iceberg when it comes to companies with opaque ownership. Indeed, while Mossack Fonseca specialized in this service, a law firm need not focus on this line of work to be able to complete a company formation in short order. In fact, a law firm isn’t required at all. Simply Google ‘LegalZoom’ and you can setup your own anonymous shell company, complete with a registered agent, in under ten minutes and for about $300. Perhaps the most frightening thing about these ‘ghost’ companies is that they are perfectly legal. Most countries, and all U.S. states, don’t require that the people who ultimately own the firm be identified. Essentially, governments enable individuals to create a legal cocoon of anonymity which can then be abused to conduct illegal activity. With the ease of set-up, low-cost, and government permission, it is no surprise there are millions of anonymous companies around the world. 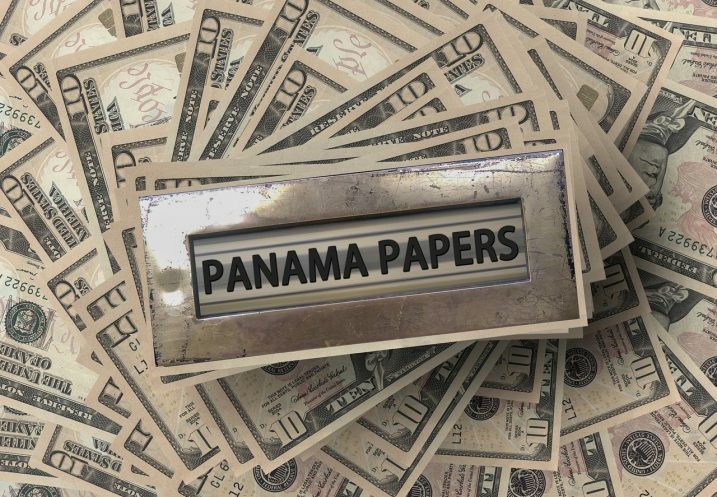 Given that background, the Panama Papers are not merely a scandal but are a sign of a crisis. There are three things policy planners should keep in mind as the effort to create more transparency in the global financial system progresses. The harm facilitated by anonymous structures is immense and tax evasion is the least of it. Illegal markets like counterfeiting and trafficking of various types—people, narcotics, weapons, etc.—are facilitated by the shadow financial system, which has at its heart anonymous companies. Last week GFI released a new report titled Transnational Crime and the Developing World, which estimates the global value of transnational crime from 11 “industries” to be between $1.6 trillion – $2.2 trillion annually. That figure is approximately 2.5% of global GDP which should be a wake-up call for politicians. For governments to effectively address these crimes, as well as their collateral damage, significant effort must be put into following the money and eliminating the ability to establish a corporate structure in which the ultimate owner’s identity is not known. The current Financial Action Task Force (FATF) standard on beneficial ownership is weak. It says that a country need only require that its companies maintain an internal list of beneficial owners and provide it to law enforcement officials who come knocking. Law enforcement officials will tell you, however, that this is of no use to them, as contacting a company’s registered agent, for example, is tantamount to tipping them off that they are being investigated. In fact, a FATF report to the G20 last October highlights the current poor state of enforcement of even that weak standard: “Recent revelations as well as a review of the first nine country reports in FATF’s current assessment cycle have highlighted that many countries still do not implement the beneficial ownership requirements effectively” (emphasis added). There is no legitimate reason to have any percentage of corporate ownership that is opaque. Citizens are permitted to create a corporation based on the rule of law. This is not an inalienable right; it is permitted on the assumption the conduct of that firm will be within the law. The most basic elements of participating in a democracy, such as registering to vote or obtaining a library card, require simple forms of identification. Creating a company should be no different. Addressing the problem of anonymous shell companies is not difficult to accomplish. There are myriad reasons to do this. It only requires political will.